The Christmas season is a busy one, and things can get hectic. There’s the decorating, the shopping, the cooking, the parties, the hosting of guests and entertaining of children. In winter, people are more likely to spend more time indoors at home. If you find that your home spaces don’t feel cosy enough, or you aren’t happy with how things look, you might feel that it’s time to get new furniture. It’s a gift to yourself and helps to make your home ready for seasonal festivities as well. The downside is that everybody is shopping for Christmas, and this means that stocks run out and delivery systems are strained. There would be nothing worse than the holidays falling apart because your deliveries didn’t turn up in time. 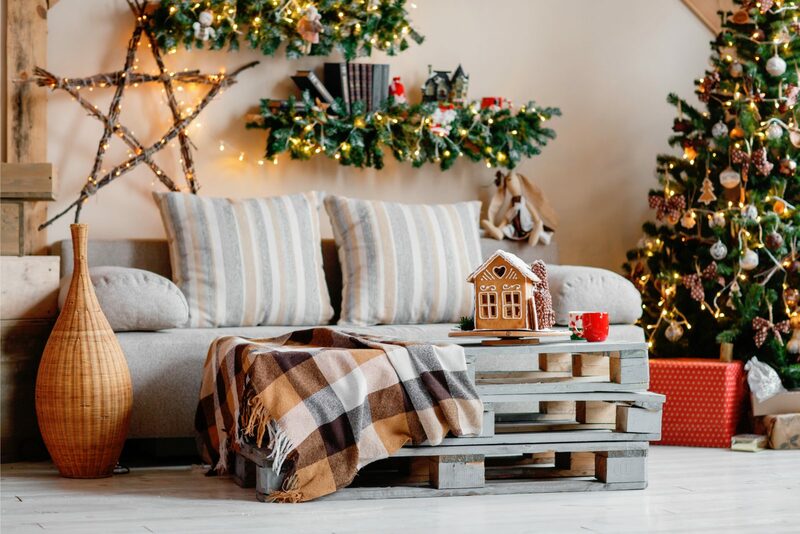 Here are some guides for ordering from furniture retailers to ensure delivery before Christmas 2018. You can shop for Christmas gifts for family and friends with many of these retailers, too! Perhaps you or a member of your family is getting a bedroom makeover just in time for Christmas. One common place to order beds, mattresses, and headboards is Dreams. They also sell pillows, duvets, bed linen and mattress protectors or toppers. In addition, you can buy bedroom furniture as individual pieces or the entire room-set from a design collection. These include chests, drawers, wardrobes, storage units and boxes, and other accessories such as dressing tables, mirrors, and stools. You can book assembly services at the time of ordering to avoid the hassle. If you order in-store, you can arrange to collect the furniture yourself from a Dreams warehouse. Otherwise, Dreams will deliver the majority of products to your home. Their suppliers may deliver furniture or other goods directly. They will usually send bedding by courier and not with the regular delivery team. If you want your new bed and any other furniture to arrive at the same time, contact your local store to try to match the delivery date with the one from the furniture supplier. Place your order and book your delivery date as soon as possible. You might have to wait until Dreams or the supplier contacts you to arrange your time-slot. If the items are in stock, delivery could be very soon. However, some items can take 8 – 10 weeks. Order today if you are hoping to receive furniture before the holidays. As everyone knows, there is always a sale going on at DFS. They are one of the most popular retailers of sofas and living room furniture. They also offer bedroom and dining furniture as well. 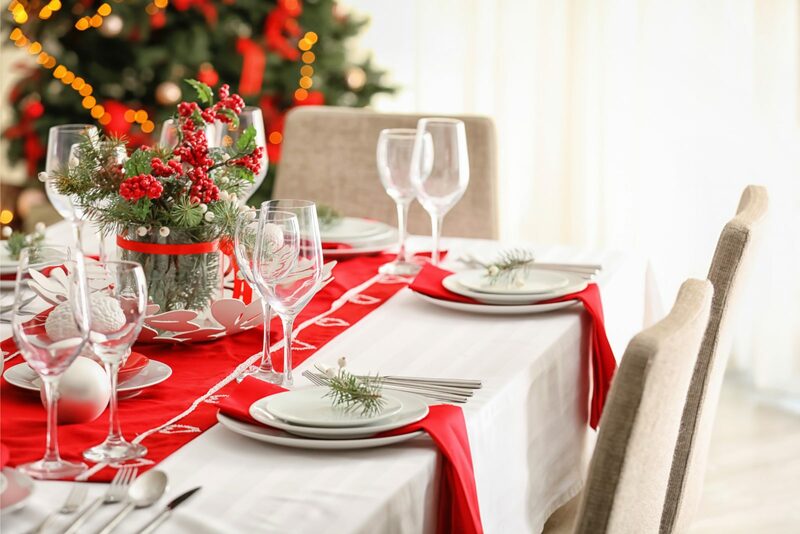 You may not even be shopping for your living room – you might want to revamp your dining room in time to host Christmas get-togethers at your house. If you do order from DFS, they have a dedicated “Christmas Delivery” section on the website. These products are all guaranteed to arrive no later than 24th December 2018. Make sure you sort the seating and sleeping arrangements for guests and order your cosy furniture in time for the holidays. In stores, the staff can advise you on which items are available for Christmas delivery. The later you leave it to place an order, there less there will be to choose from. With 8 weeks to go before Christmas Day, there is still a lot on offer. Snap up something quickly from their range of fabric sofas, leather sofas, corner sofas, recliners, sofa beds, dining table and chairs sets, bed frames, mattresses, wardrobes, chests of drawers, and bedside cabinets. Plenty of products are also at half price or have some kind of discount. The DFS experts will deliver and install your furniture in your home before Christmas. They can even take away your old sofa if you want to donate it. All you have to do is wait for DFS to contact you and arrange a delivery time. You will have to pay £69 for them to deliver your order and install the furniture. This applies if you live within 50 miles of a DFS store in the UK (mainland). Otherwise, the delivery charges might be higher. They offer Premium Saturday delivery for another £20. Or contact your local store and arrange to collect your order from there yourself. You have probably seen the adverts for Sofology and had the jingle stuck in your head at some point. They are all about helping you to make your home feel like a home. If you want to get cosy on a new sofa set this Christmas, Sofology also has a specific section of their website for Christmas delivery. There are currently 152 different sofa ranges offering guaranteed delivery in time for Christmas 2018. Some of the ranges are only available to order for Christmas delivery for a limited time. These ranges will have a banner stating how many days you have left to place your order if you want to get furniture from that range before Christmas. They all offer various sofa seating sizes, from 1.5 to 4, as well as matching chairs and footstools. Some ranges offer sofa beds, loveseats, swivel chairs, or designs like chaise, recliner, or corner sofas. There are plenty of fabric or leather furniture options to choose from. If you don’t want to risk your order failing to come through and being left without anywhere to sit on Christmas Eve, Sofology also offers Express Delivery for a selection of ranges. They currently have 205 ranges available for Fast Delivery, so there is actually more choice than for Christmas Delivery. With all of the styles and colours on offer, you are bound to find the perfect set for your new living room. The benefit of Express Delivery is that these ranges are ready for delivery in four weeks. Some are even available within seven days of ordering! With just under two months to go, Sofology’s Express Delivery sofas are a safer option to make sure your living room is ready for the festivities. Furniture Village is the biggest privately-owned furniture store chain in the UK. They offer a full range of sofas and armchairs in fabric or leather. This includes 2-4 seater sofas, sofa beds, corner sofas, recliners, and riser, swivel, cuddle, and wingback chairs, as well as footstools. They also offer tables, storage, and home office furniture for living rooms. Their dining room ranges include table and chair sets in glass, wood, marble, or high gloss. They also include bar stools, sideboards, smaller breakfast tables, and extending or space-saving tables. There is a range of mattress types and bed frames from single to super king. Plus divans, storage beds, and beds for kids or guests. In their bedroom furniture range, you can find bedside cabinets, chests of drawers, dressing tables, wardrobes, as well as storage. They sell bedding and homewares such as lighting, mirrors, wall art, rugs, clocks, and finishing touches. So, basically, you could refurnish every room in the house with Furniture Village. Or you might just be picking out a few new pieces to freshen up your home for the season of cheer instead of doing a complete overhaul. Whatever your plans are, you can find furniture to suit them. The delivery time from Furniture Village depends on stock levels and whether a product is made to order or not. Costs for delivery range from £9 to £49, depending on the size of the items in your delivery. You won’t get your estimated delivery date until after they process your order for most items. However, if you want to make sure that you get them before Christmas, shop the Christmas Delivery or Quick Delivery ranges on their website. The Quick Delivery products are all available within 7-28 days, and many of them are on sale. Plenty of products for Christmas Delivery are on sale, too. These will arrive in time for Christmas, but will take longer than one month. So if you want everything ready by early December, order Quick Delivery furniture. The Swedish furniture warehouse is famous worldwide for affordable prices and contemporary designs. If you are redecorating on a budget this winter, IKEA is dependable. They sell Christmas decorations and lighting, so you can cover the festive dressings at the same time as ordering your new furniture. IKEA offers pretty much everything you might want or need to have in your home, plus a few random things sprinkled in there as well. IKEA supplies the sturdy basics and the stylized details to help you to cleanly achieve the aesthetic you envisioned for your kitchen, dining room, bedroom, living room, bathroom, home office, or garden. Scandinavian storage solutions mean your home will be ready for guests, and their modern designs will help you to achieve the Swedish principle of “lagom.” This is the idea that everything is just right, instead of too little or too much, like in Goldilocks. Of course, you will want your home and your Christmas celebrations to be perfect for everyone, including your family and friends. Due to the size and maze-like nature of IKEA stores, shopping in person can be a bit of an ordeal. Plus, it’s easy to get side-tracked and pick up a bunch of things you didn’t even go there for. Save yourself some time by ordering online from the IKEA website. They offer home deliveries for £3.95 or £9.95 depending on the size of the order. If your order requires a two-person delivery team, the cost goes up to £35. It may be worth it to avoid the hassle of carrying it all to your car, packing it in, then getting it out and into your house yourself. Or if you do want to shop instore to see what things look and feel like in person, you can arrange delivery from the store for £25 or £35. You can even take a look around, choose what you want, and place an order instore so that the staff can pick up the items for you and deliver them, all for £35. Some stores can offer next day delivery, whereas online orders come from distribution centres. A few locations offer a Click & Collect service if it is more convenient. The closer it gets to Christmas, their delivery backlog will grow. You should place IKEA orders at least 3-4 weeks before Christmas. Even with the downfall of catalogues, Argos has always been a staple on the high street. This has never been truer than at Christmas. As soon as Halloween is over, or even earlier than the end of October, shoppers will be scouring the site for Christmas shopping deals. There are gifts, jewellery, toys, beauty products, and technology galore. You can shop for Christmas presents at the same time as ordering furniture for your own home. This is not only super convenient, but also makes any delivery costs more worth it. The price of goods at Argos is competitive and they usually have various sales, discounts, and voucher codes. 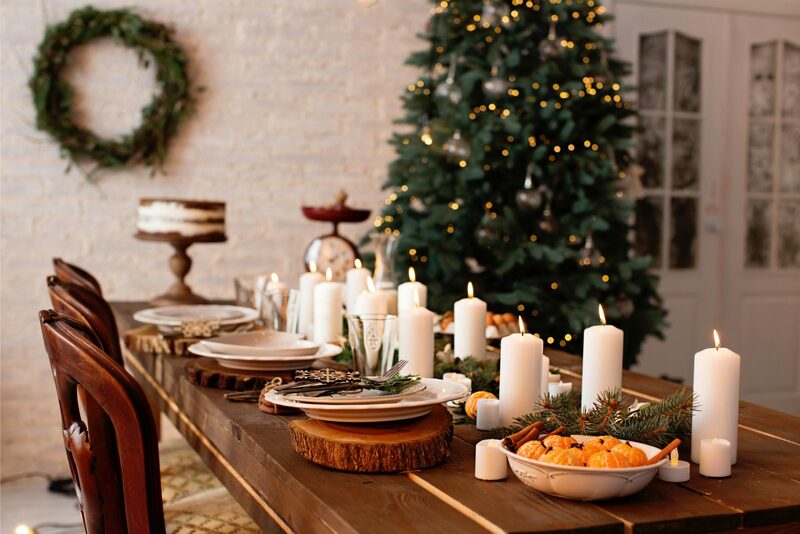 From festive fashion to decorations, baking equipment and table settings, and even games for entertainment, Argos can supply all that you need to pull off a party or be the perfect host for your holiday guests. The only thing they can’t help you with is buying all the Christmas food! If you are only ordering a few things that you can carry yourself, you can collect them from a local store if they are in stock. Order online to save time, or check stock online before popping to the shop. You should only have a short wait then you can take it home with you right then. But if you are ordering a lot, or if there is bulky furniture involved, it is best to order for home delivery. With Fast Track, you can have your products at your door within 4 hours for just £3.95. All you have to do is order by 6pm for delivery by 10pm. However, not all products are available for same day delivery, so you should check that first. As Christmas approaches, higher demand for faster delivery will restrict its availability. So while it might seem easy to leave it to the last minute, do not wait until Christmas Eve to order. Stock levels will also drop the nearer the day gets, and discounts might change. So place the order no later than the week before, but preferably as soon as possible. You can order by 8pm for standard or next day delivery for up to £24.99. Maybe it’s just more popular with an older crowd, but many people seem to forget about TJ Hughes. Lots of people probably don’t even know that you can order from them online. Their website even has a special Christmas section for trees, lighting, decorations, festive home furnishings, and gifts or stocking fillers. They offer electrical goods including home appliances, grooming tools, and TV, phone, computer, and audio equipment. There are plenty of cosmetics and toys, and clothing for adults and children. Not to mention furniture for all rooms, plus furnishings and accessories. You can get everything from curtains to cookware. Plus there is equipment for travel, fitness, or camping. You can even find big-name brands at TJ Hughes for much lower prices. It is an under-utilized resource. With such a large variety of items, the actual stores are unlikely to have everything in stock or on the shelves. To make sure you don’t miss anything, browse the website. Save yourself time by ordering online for home delivery. Standard delivery costs £3.99. You can get smaller orders the next day for £5.99 if you order by 2pm (but there are no deliveries on Sundays). Or you can collect smaller orders from a store for £1.99 if you prefer. You will normally get an order dispatch notification e-mail within 3 working days. TJ Hughes delivers within 3-7 working days of the order date. Delivery of larger items costs between £9.99 and £19.99, or £19.99 to £49.99 for beds, mattresses, or other furniture. These larger deliveries can take up to 2-3 weeks. They only deliver between 8am and 7pm, Monday to Friday, which also creates limitations. TJ Hughes does advise that lead times can be longer around public and bank holidays. So if you order furniture from TJ Hughes, do it at least a month in advance for delivery by Christmas. Another under-utilized retailer for homewares and furniture is The Range. They sell furniture, decor and equipment for all rooms in the house, plus gardens and garages. In addition they stock materials for DIY decorating and arts and crafts, plus products for pets, leisure, babies and children, and beauty and electrical items. Their collections of furniture and furnishings include modern, traditional, millennial, minimalist, country, and nautical styles. No matter which style you want your home to have year-round, The Range has an extensive Christmas section to help you to make things fittingly festive. This includes trees, decorations, lights, dining and homewares, cards and wrapping, and plenty of gift items. You can get novelty Christmas clothing, or items from the “Elves Behavin’ Badly” collection. The dates and delivery prices for orders from The Range will vary according to your address and the size of your order. Standard Saver Delivery costs from £3.95 to get your order in 3-5 working days. From just one pound more starting at £4.95, you could get Next Day, Nominated Day, Saturday, or Express Delivery. Fragile or large items cost from £9.95 to deliver. If you want larger items faster, the Express Delivery for them costs £19.95. Some items will not be available for home delivery, but you may be able to collect them from your local store. If you can, it is best to go to the store in person, so you can make sure that the staff don’t pick products with cosmetic damage for you. In most cases, you should be able to get your items within 5 working days. That said, leaving an order until 5 working days before Christmas is risky. Products are more likely to be out of stock, and there could be delivery delays due to the demand. If you can’t order too far ahead, you should try to do so by 2 weeks before Christmas at the latest.